Tickets are now on sale for our Black & White Gala, to be held at 6 p.m. on Saturday, February 24th, at The Chicago Marriott Northwest in Hoffman Estates. You don’t want to miss this elegant night out—it’s always a highlight for all of our supporters and friends. Buy your tickets here. 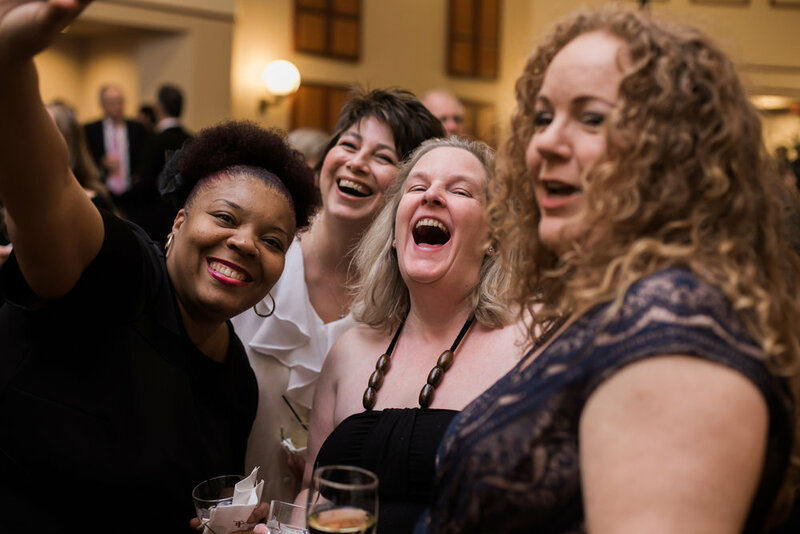 The gala offers multiple ways to support single moms—and an excellent to introduce friends and family to Fellowship Housing. Fellowship Executive Director Pam Orr chats with her husband Barrie, right, and Greg Haecker, at last year’s gala. Award-winning musician Nicole Nordeman will join us at this year’s gala. The gala is a wonderful night out for a very important cause. You’ll enjoy a great dinner, live music from awarding-winning musician Nicole Nordeman, an exciting live and silent auction. You’ll also hear about the many ways in which your support has made a difference for single moms and their children—and some very exciting updates about the future of Fellowship. Attend, and simply enjoy. Bid on auction items, be inspired, celebrate with us what God is doing through your generous support. Donate wine for our wine pull. Bring bottles of wine (minimum value $20) to our offices. A great way to collect wine is to have a procurement party, inviting friends to gather prior to the gala and each bring a bottle to donate. Donate auction items. Popular items in past years have included gift baskets, jewelry, sports equipment, clothing, even stays at vacation properties. One year, we auctioned off a puppy! Be creative! Become a table leader. Purchase ten tickets and invite friends to fill your table as your guest (cost $1500). If you’ve got a few friends you’d like to introduce to Fellowship, this is a great way to do it. Or, invite friends to purchase their own tickets but sit together as a table. Become a sponsor. Sponsors receive perks like hotel accommodations, extra complimentary tickets, and recognition in our program and signage. If you commit to sponsorship by Wednesday, January 17 (one week from today! ), your name will be included in our event program and signage. Sponsorship is available at a variety of levels, from Tuxedo to Truffle. Learn more here or check out the summary below. Last year’s silent auction included this package from a local brewery. To reserve your sponsorship today, or to donate wine or an auction item, please contact our event manager, Courtney Burton, at 847-380-7003 or courtney@fhcmoms.org. A sponsorship decision prior to January 17, 2018, will ensure that you will be recognized on press releases, the program and signage. Some of our graduates enjoy last year’s gala.